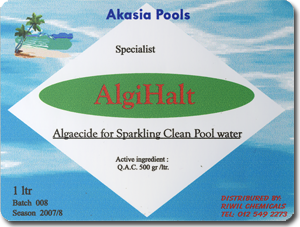 AlgiHalt is specially formulated to act as a maintenance product. 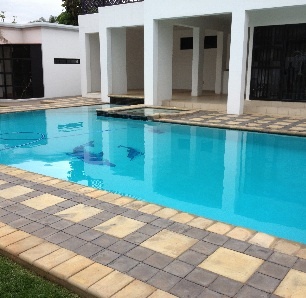 Regular use protects the pool against algae and maintains a sparkling clean pool. It is to be used with chlorine. 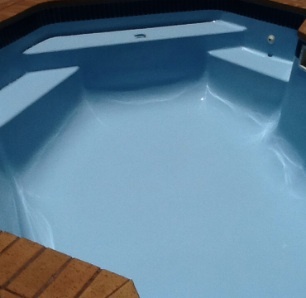 For normal size pools (ie.40000 liter) mix 1 liter AlgiHalt with 5 liters of water and stir. 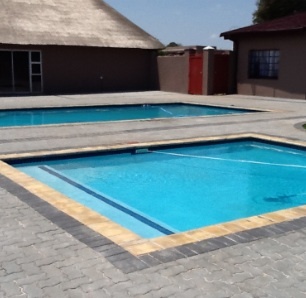 Sprinkle in the water around sides of pool with the pump running. Do not swim for approximately 1 (One) hour. When algae has been removed, after approx. 3 days add AlgiGrip as directed to ensure clarity and control of algae growth.